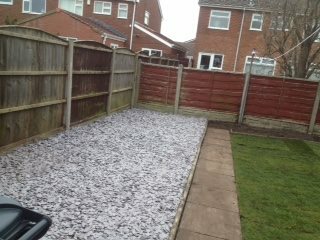 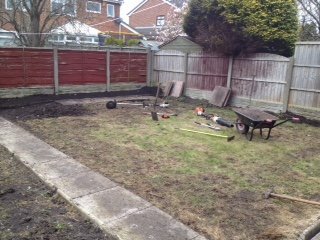 This job was for a client who wanted thier garden to be low maintenance. 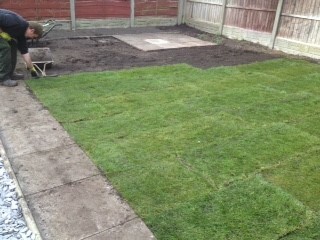 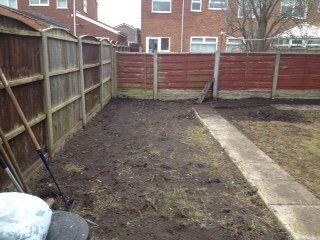 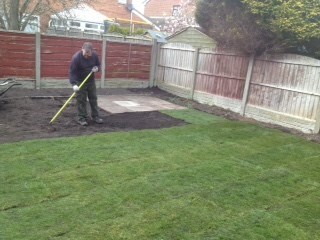 It involved removing the old rough turf and rotavating the soil. 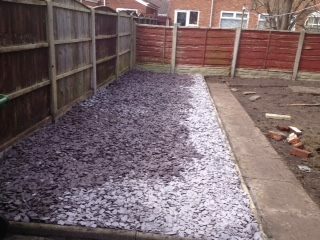 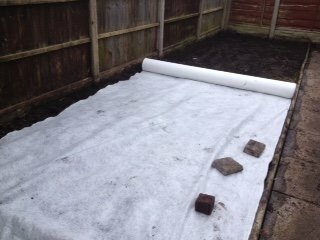 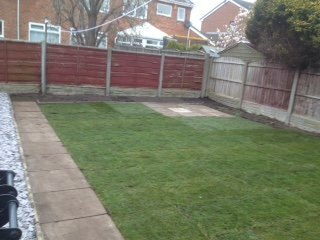 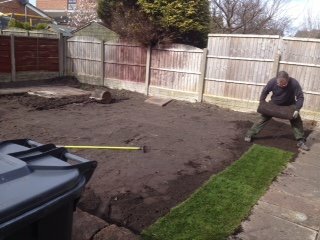 Then laying a weed control membrane on one side of the garden, topped with decorative slate and laying new turf on the other side.